Hi!!! My taste buds and stomach have been very happy lately. Why? 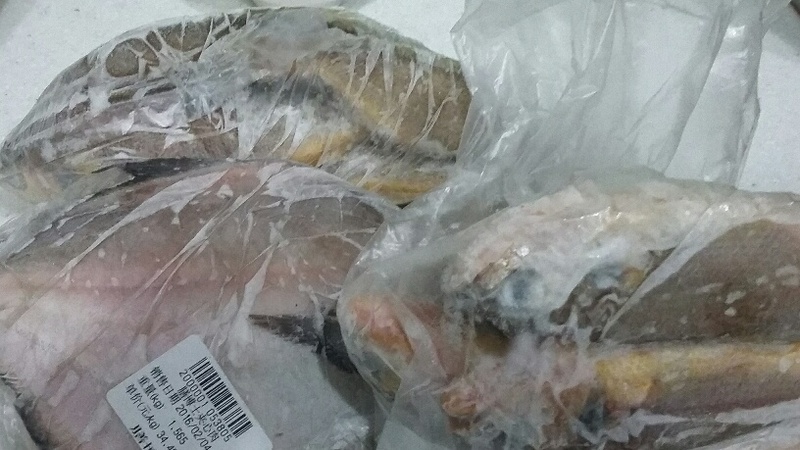 Well, a few days ago, my driver (aka Shanghai food expert) went to the market and got us fish. Finally, FISH!!!!! I had literally been waiting the entire winter for fresh, “inseason” fish. Needless to say, I was excited. Of course, if clover isn’t available, almost any leafy green will work. The most traditional substitution would be pickled mustard greens. Tips: Let the fish marinate in salt 15-20min before cooking so the flavor goes into the meat. Add enough oil when frying the fish. They will stick. Excess oil can always be drained. 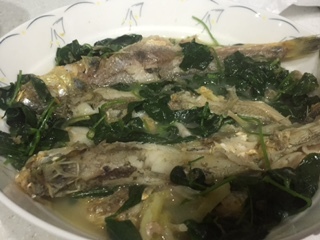 The fish is very delicate and tender; be very careful when flipping. Finally, be very careful not to overcook. Anyways, enjoy this quick, delicious, nutritious soup!!!! Throughly clean the fish and apply salt. Allow the fish to marinate for 15-20min. Heat a wok over medium high heat and rub some ginger on the wok (prevents sticking). Heat some oil in the wok and pan fry the fish for 2-3 min/side until cooked. Be careful not to overcook and burn. Remove from heat and set aside. Using the leftover oil, or add more if necessary, stir fry the clover with a little salt. Add cooking wine, fish, ginger strips and water. Turn heat to low and simmer for 10-15min. Remove from heat, serve and enjoy!!! !